From one of America’s favorite storytellers comes a heartwarming, inspirational book to help readers understand their lives as one continuous, never-ending story. 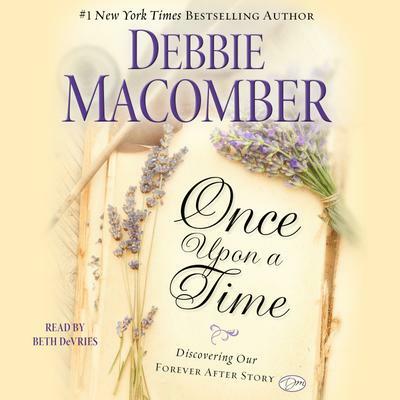 Debbie Macomber has inspired readers with her stories for decades. Now for the first time, she helps us to understand that our lives are stories, part of a grand narrative that God is writing day by day. With chapters that cover the importance of characters, setting, backstory, and conflict, Macomber uses the elements of a story to show how to understand our own lives better. Each chapter has a storytelling prompt—a searching question that will help frame your story—and a sidebar that pulls an idea out of the chapter and expands it with practical tips. Once Upon a Time shares Debbie’s love of story and helps showcase the big picture of the story God is writing through us.